They’re certainly pricy, but you will be getting a lot of bang for your buck. 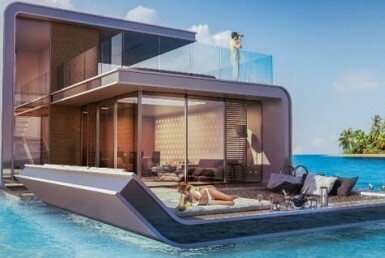 The homes are split over several floors, accessed by an internal elevator, and a car jetty connects each floating capsule with the land. The Seahorse Floating villas, located around four kilometres off Dubai’s coast, consist of three floors bobbing above custom-created coral gardens.